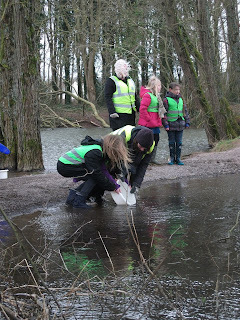 AWT Wild Schools blog: Free the fish! Last week many of the classes involved in the Trout and About project visited Blagdon and Chew Valley lakes and set their fish free.At Blagdon lake students had the opportunity to feed some really big fish and see some fry that were slightly older than the fish they had raised in school. 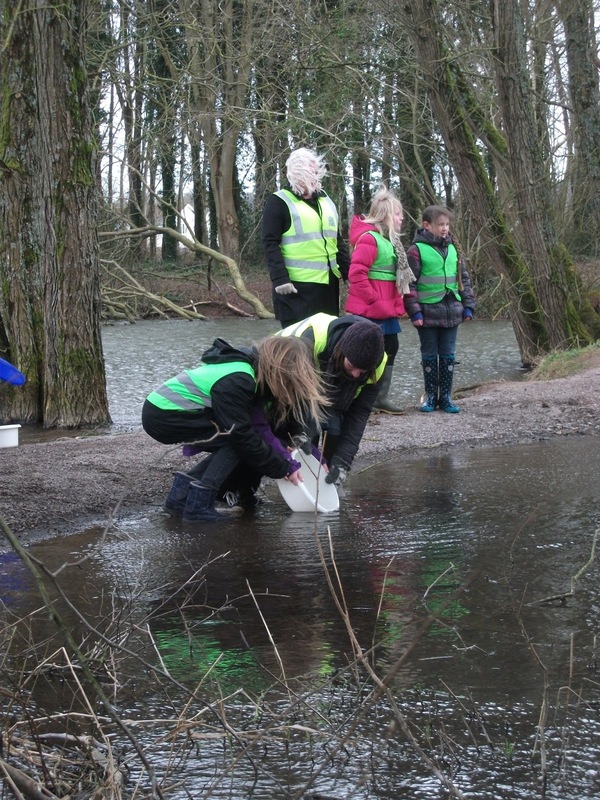 On Monday we went to release our trout (fry) into a real water habitat. We all went on mini buses to get to Blagdon, where the Bristol Water Company set up all their machinery. They showed us many different things, including lot’s of tiny little trout, massive trout feeding and powerful machines for purifying water. 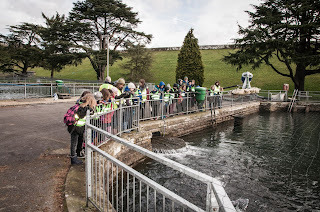 After this, we got back on the mini buses and set off to Chew Valley Lake, where we would release the trout. We were each given sticky bits of paper to stick natural resources on to make a picture. After that, we set of on the long journey to the lake. When we got there we were releasing around 8 fry in partners into the further upstream lake. We waved them off and wished them luck in the big wide world! Then we walked to bird hide where we given binoculars in pairs to spot some beautiful nature. Although it was freezing, we were all had a lot of fun! So far I think we must of released over 500 trout! The last field trip is tomorrow with Parson Street primary. I'm going to release my fry from the Avon Wildlife Trust office too.